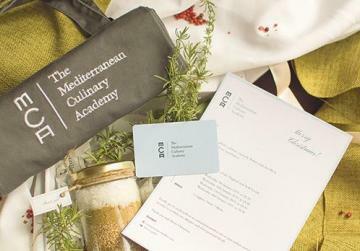 Anyone looking for something a little different for the foodies in their life this Christmas need look no further than the Mediterranean Culinary Academy. To celebrate Christmas, the MCA has announced a series of exclusive festive packages that would make the ideal gift for foodie friends everywhere, from masters of home cooking to Malta’s masterchefs-in-the-making. Beyond that, it will also be offering kids’ workshops for the first time over the holiday season. Lovers of Italian cuisine can boost their Mediterranean cooking skills with the Regional Cuisines of Italy Christmas package. For only €299, the package includes four hands-on cooking sessions with expert chefs, who will share the unique flavours and techniques of specific regions across Italy. Besides the sessions, the package also includes an MCA apron, an MCA Loyalty Card and a pack of beautiful, local, finishing salt flakes. Also available for €299 is a similar package which explores the mouth-watering and delicately-spiced cuisines of the Maghreb and Arab Levant. Along with four insightful cooking sessions related to the region, the package also offers an MCA Apron and MCA Loyalty Card, as well as a Za’atar spice mix with a flavour and scent that is timelessly reminiscent of this fascinating part of the world. Or, instead of a course focused on one specific region, perhaps your foodie friend may wish to try out any cooking class, to find their perfect fit. For €75, they can try something new by choosing one of the many hands-on cooking classes held at the MCA throughout the year, as well as receiving an MCA Loyalty Card and a bottle of locally-produced Bidni Endemic Monovarietal Extra virgin Olive Oil. 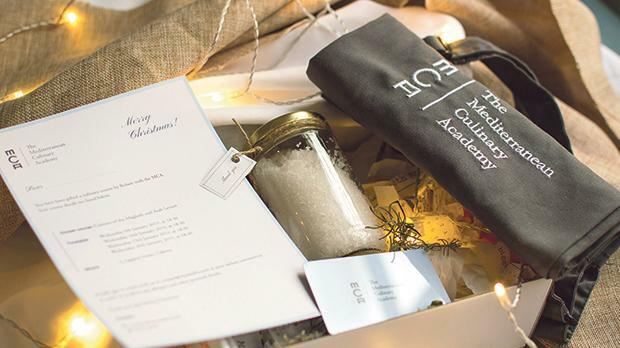 Each of the MCA Christmas gift packages and workshops comes with a personalised voucher, in a package that is ready to be collected from the MCA offices in Sliema or Valletta within three to five working days of your order. Then the foodie gift is ready to be placed under the Christmas tree, to surprise your loved ones on Christmas Day with the gift of culinary magic.